From your Apple Watch, open 18Birdies watch app. From the Play tab on your 18Birdies iPhone app, select "Start Round". Complete the Start Round details on your iPhone. 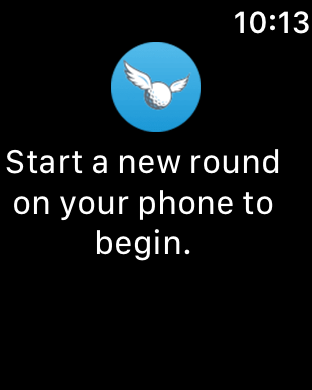 End the round on your phone by selecting "Exit without Saving"
Restart the round on your phone.